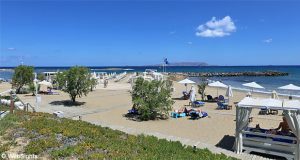 Malia is situated on the north-west coast of Crete, less than 10 km from the larger holiday resort of Hersonissos. Malia is known for its fine beaches. 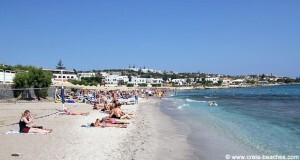 The main beach is Glozanie Beach, which is situated right in front of the central part of the town. The beach is often packed with young people enjoying the music from the beach bars. Sun Beach is more suitable for families with small children. Here is more room and more peace and quiet. There is also a pool for the children, which is perfect for a day with many waves. The beach is situated a few kilometres east of the town centre. A little further to the east, you’ll find Potamos Beach, which is even more quiet and the favourite among the locals. Close to the beach, you’ll find one of the four Minoan palaces in Crete. 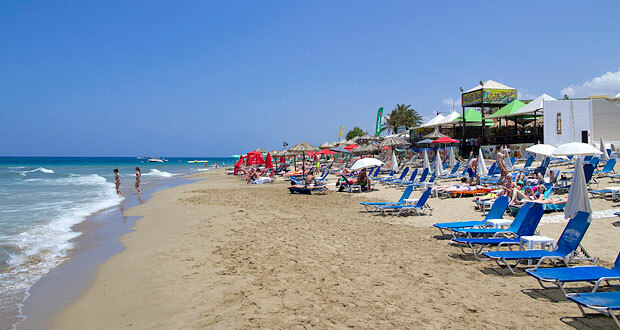 The beaches mentioned above have facilities such as sun lounges and sunshades for rent, as well as showers and toilets. Sun Beach to the east is a lovely and child-friendly sand beach. Unfortunately, it is situated a few kilometres from the town centre. The beaches offer many water sports activities such as parasailing, banana boat, ringos, water skis and jet skis. There are also several diving centres in Malia. 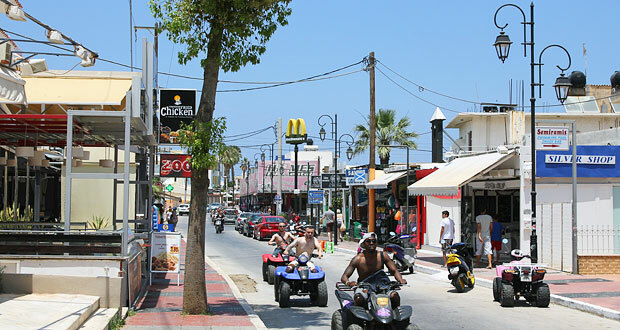 There are many restaurants, cafés and bars behind the beaches in Malia. At the main beach, Glozanie Beach, several of the bars play loud music. Malia is divided into two very different quarters. One kilometre from the coast, you’ll find the charming old quarter with interesting shops and good restaurants in the narrow streets. However, it is the holiday resort by the coast, which is best known. 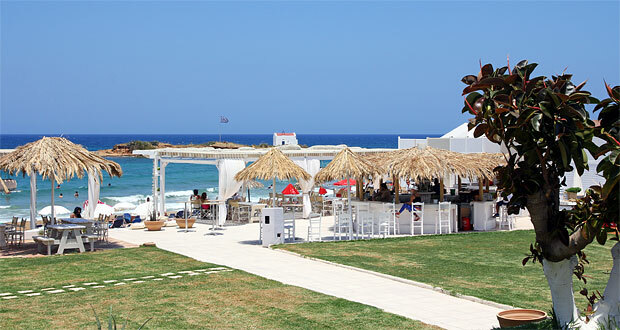 With a wide variety of bars, strip clubs, discos and night clubs, it is the home of Crete’s wildest night life. During the summer, several internationally known DJs perform at the night clubs. There are also many restaurants, especially fast food restaurants such as McDonalds, SubWay and Domino’s Pizza. For families with small children, Stalis may be a good alternative holiday resort. Stalis is also buzzing with life during the day, but more quiet at night. The town Malia is located a few kilometres south of the beach. Most of the bars and nightclubs are located along the road to the town. Stalis is located two kilometres to the west.